Lost Finale Party Photos | The Ack Attack! 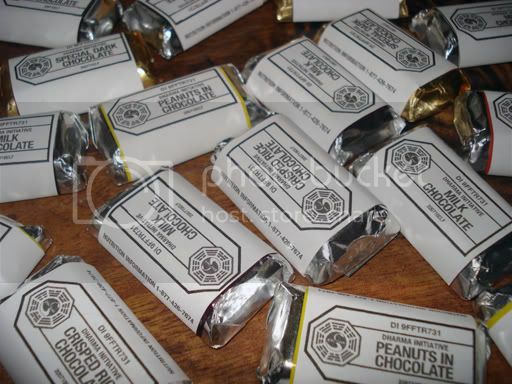 § 15 Responses to Lost Finale Party Photos"
Oh, and I *love* your rice krispie statue and the little Jears ! Oh my god Sarah, wasn’t putting those labels on things way more annoying than you thought it would be? I was ready to kill myself LOL. Great job on all the details, looks like a fun party! Here’s some pics from our party; mostly food related. Check out our Magical Cave of Light cake! Wow, I love seeing everyone’s photos. You guys are super creative! I spammed some of mine during the Last Ongoing Post ;__; but I doubt you’ve gotten a chance to look at them yet. I didn’t go super overboard because I only had my two pets watching with me but here ya go. the jears!! so awesome!! I bow down to the girl who dressed up as patchy. hilarious! It was so much fun! We made Mr Cluck’s Fried Chicken buckets, DHARMA food, a DHARMA Recruits banner, Apollo Candy Bars, island food, and some killer “Last rites” rum punch (a vintage Mai Kai recipe). 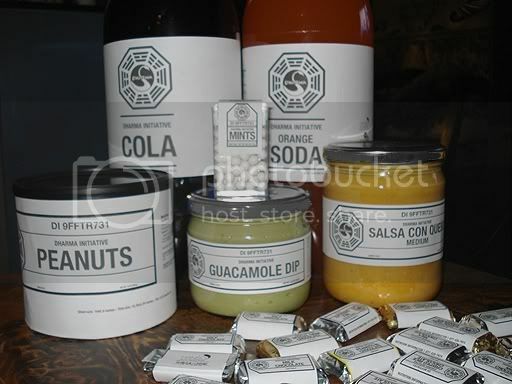 We were determined to give Lost a good send off after all the shocks, laughs and tears of 6 years! 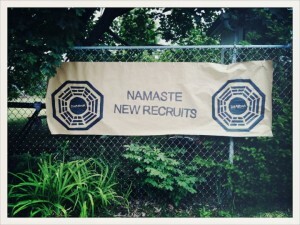 You are currently reading Lost Finale Party Photos at The Ack Attack!.